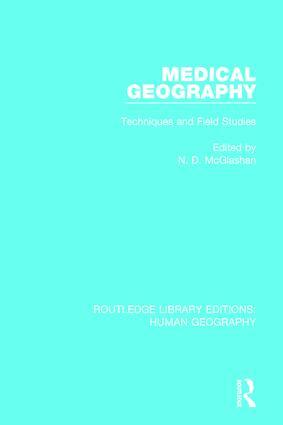 The first book of its kind when originally published in 1972, this book discusses techniques, types of maps and atlases, case histories illustrations of both disease incidence and distribution of medical services, and some examples of theoretical models linked with practical work. It shows the importance of medical geography as a research tool in preparing and collecting data concerning the incidence of disease. In the light of the recent Ebola outbreak, this book is of continued relevance, with some of the chapters focussing on Malawi, Zambia, Ghana and other African countries.